Comments: 25W Customer Preferred Package, HEMI V8, Sunroof, Luxury Leather Seats, Blind Spot and Cross Path Detection! This flame red clear coat crew cab 4X4 pickup has a 8 speed auto transmission and is powered by a 395HP 5.7L 8 Cylinder Engine. Our 1500's trim level is Rebel. Rebel styling and badging, sport performance hood, a black RAM badge for the tailgate, exclusive two tone paint and fender flares, black badging, Bilstein performance suspension, upgraded rear axle, 4x4 with electric shift-on-the-fly part time transfer case, tow hooks, skid plates for major components, electronic locking rear differential, hill descent control, LED lighting with fog lamps, dampened tailgate, auto dimming rearview mirror, 115V power outlet, leather steering wheel with audio and cruise control, burly all terrain tires, and power folding heated side mirrors. This Ram Rebel also comes standard with the Uconnect3 infotainment system complete with SiriusXM and a 7 inch Rebel-themed touchscreen, aluminum wheels, remote keyless entry, Bluetooth, USB and aux jacks, a rearview camera, and a 7 inch vehicle information display. 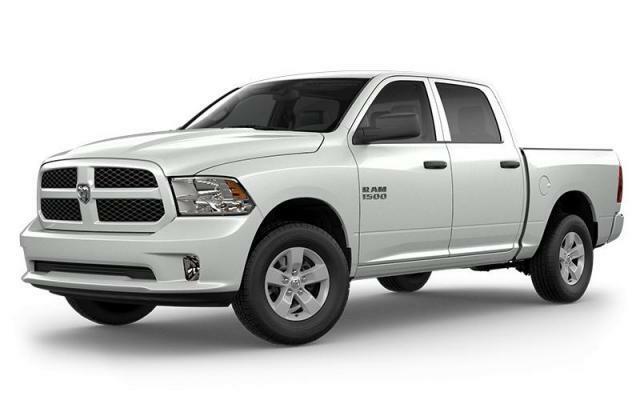 This vehicle has been upgraded with the following features: 25w Customer Preferred Package, Hemi V8, Sunroof, Luxury Leather Seats, Blind Spot And Cross Path Detection. View the original window sticker for this vehicle with this url http://www.chrysler.com/hostd/windowsticker/getWindowStickerPdf.do?vin=1C6SRFLT8KN727441. Buy this vehicle now for the lowest bi-weekly payment of $378.75 with $0 down for 96 months @ 4.29% APR O.A.C. ( taxes included, $725 Fee includes - Administration, Air Levy, Tire Tax and FREE tank of fuel. / Total cost of borrowing $12142 ). Incentives expire 2019-04-30. See dealer for details.